Form of world industrial design was founded in 2007 by Henriette Deking (born Lipinski) in Munich. The native Heidelbergerin completed her design education at the University of Art and Design Burg Giebichenstein in... Read more Halle an der Saale. During her six years as a (senior) designer in the renowned design offices pearl creative (Ludwigsburg) and brodbeck design (Munich), she established her design expertise. She directed, among other projects in the sectors of office furniture, sanitary, medical and sports, which have won international design awards (iF Gold Design Award, Red Dot Design Award, Design Plus, Nominated for Federal Product Design Award and the golden flame). Since 2009, Henriette Deking gives guest lectures on "work processes in Design" and "Design and ecology" (University of Munich University of Applied Sciences Weihenstephan). Since 2011, Henriette Deking works alternately in the office in Munich and Beijing. 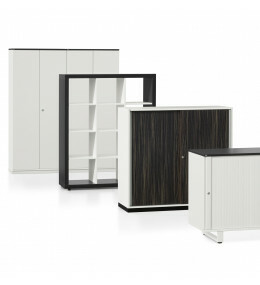 With a wide range of units, Grand Slam Storage is a comprehensive system which will create more office space. 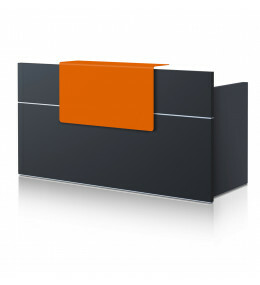 Sedus Office Reception Desks offer quality modern reception counters in various sizes.